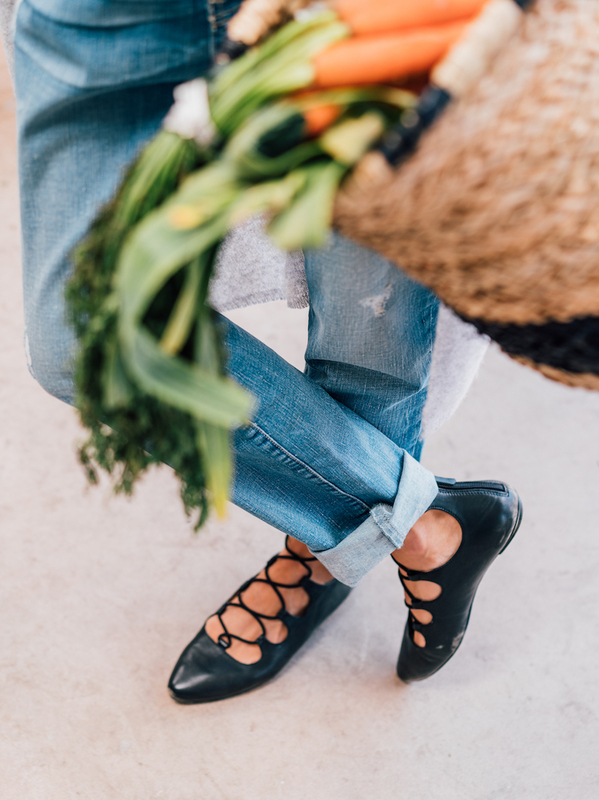 Every girl needs that perfect go-to ballet flat in her closet—the one that can be dressed up or down and worn comfortably from morning to night. That’s why we love the Lorianna. This flat has everything you could ever want from a shoe: quilted cushioning, a sleek pointy toe, interest-adding straps, and a convenient rear zipper that makes it easy to slip on and take off. To show just how versatile the Lorianna is, we styled it three different ways that will take you from work on Friday morning to date night and then onto a relaxing weekend. Balance your look. A dress in a simple silhouette and standout color will complement the Lorianna’s strappy drama in neutral black. Paired with an oversized yet minimalist necklace, you have a full outfit of statement pieces that magically do not clash. And a sleek, low ponytail adds an extra element of professionalism. Keep your clothes simple and laidback. Color blocking adds visual interest that won’t scare off a potential suitor. Jeans and a leather moto jacket work for a casual date at the movies followed by ice cream, but the Lorianna dresses up the overall look in case the night goes well and you want to grab dinner or a glass of wine. Ditch the yoga pants. 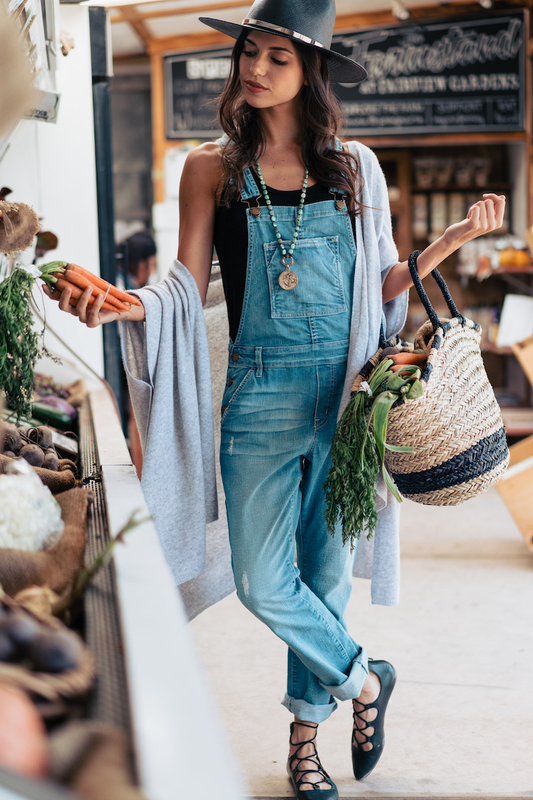 Overalls make your weekend look infinitely cooler, especially when paired with the Lorianna. Top it off with a slouchy sweater and cool hat for extra style and sun protection.